I bought the I Heart Revolution Chocolate Heart Gift Set as part of the Revolution Black Friday offer as I really liked the look of the two eyeshadow palettes, but the set also contained a face palette and the I Heart Revolution Chocolate Heart Highlighter too. The full price of the set was £30 which was way more than I was prepared to pay for the set, but I got it for £12 which I think was a pretty decent price considering the I Heart Revolution chocolate bar style palettes are £8.99 each. I’m hoping Revolution launch the contents individually over the year as I think all of the products within the I Heart Revolution Chocolate Heart are really nice. This was the only offering from their Christmas range that caught my eye as the rest of their gifting range was very obviously aimed at teenagers with the packaging and products, but I thought I’d feature the highlighter here on my blog incase they do decide to launch it in the future as I think it’s well worth picking up. Just like the rest of the I Heart hearts, the bronzer is packaged within a cardboard heart shaped box and contains 10 grams of product. The packaging is very light and flimsy but I do like the box style packaging, and whilst it’s not particularly travel friendly, it’s functional and looks cute within my collection. As it stands you cannot purchase the heart individually, so you’d have to buy the gift set should you want the bronzer but the heart boxes are usually £5 each. All of the I Heart Revolution heart range have a baked formula meaning they’re pretty shimmery in terms of finish. 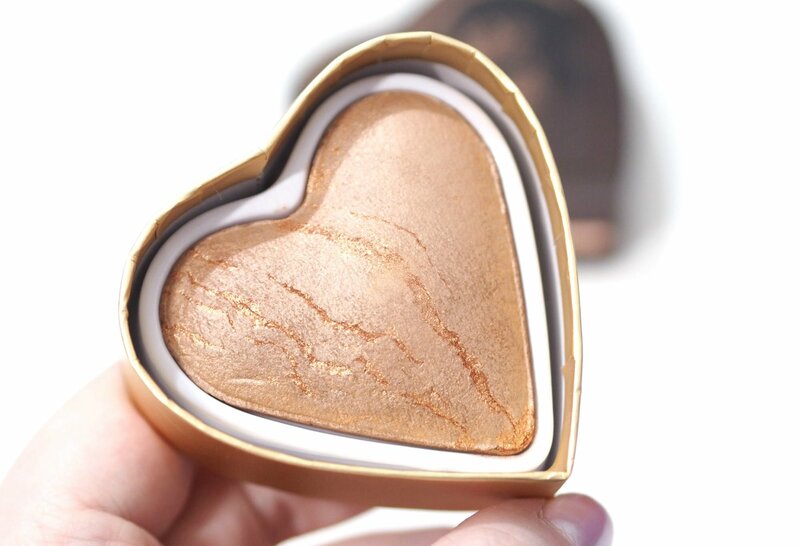 The I Heart Revolution Chocolate Heart is a neutral toned bronzer, with gold shimmery veining. 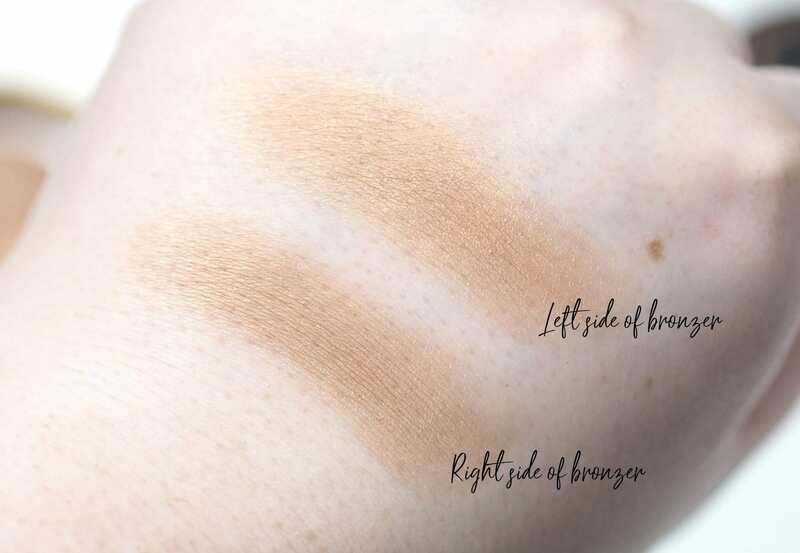 I like that the veining is concentrated to one side, so you can choose to use both or either sides for a different effect as shown in the swatches above. Due to the baked formula and veining, each product will look different so it could be possible to get an heart with more/less veining, but I really like that mine has a definite separation between the two as I much prefer the side without the veining as it works well for my paler skintone. 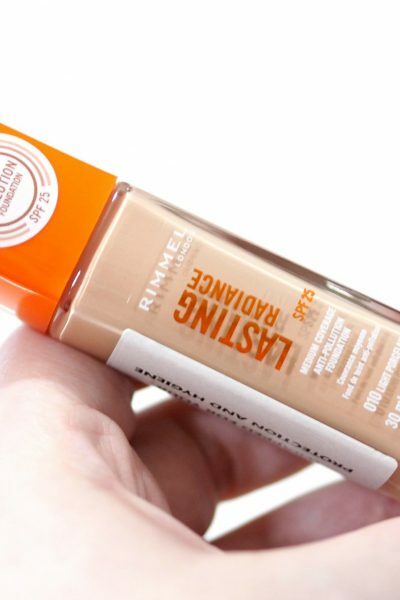 All of Revolution’s baked products blend nicely into the skin, and I don’t notice any fading throughout the day. 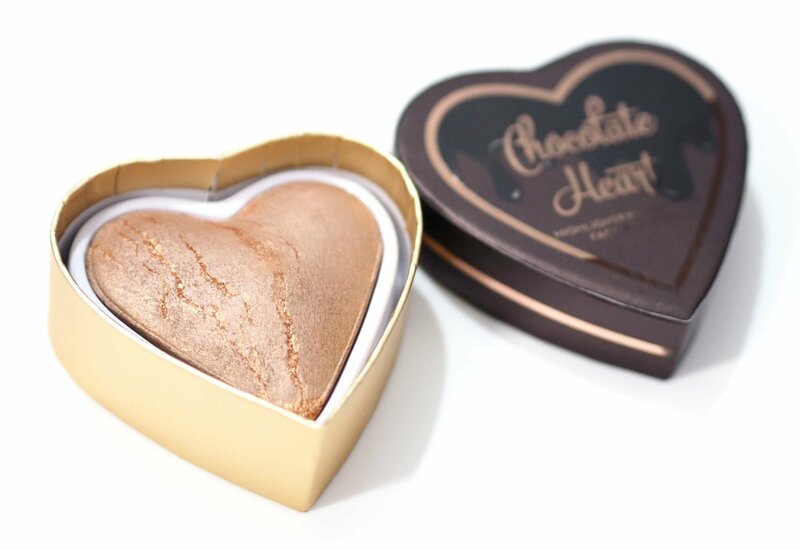 I feel like Revolution are totally missing the trick with bronzers, and I think this chocolate inspired heart would be popular should it be launched individually. I’d love to know if you got anything from the Revolution Christmas range?